COMBINING FUNCTION AND STYLE, this sturdy Wine Bottle Opener feels substantial in the hand and looks elegant on the table. Wine connoisseurs find it foolproof and efficient, simply place the wine corkscrew opener over the bottle, twist the handle to insert the auger into the cork, and watch the opener's wings rise. Then press the wings down to extract the cork. A coated wire screw glides smoothly through the cork, and a stopper prevents the screw from breaking the cork.ERGONOMICALLY DESIGNED HANDLE makes this Corkscrew Spiral Opener comfortable to grasp and effortless to turn, even when you need to use a little more effort than usual to open a stubborn cork. The sturdy 3 inch long broad wings require minimal force for pressing down to free the cork from the bottle, allowing you to easily remove any size cork quickly and efficiently. NO NEED TO MANUALLY WRESTLE THE CORK OUT OF THE BOTTLE with our butterfly corkscrew's polished helix worm that is long enough to easily and fully insert into any length cork, making it easily to extract even the longest corks. Looking for ideal Portable Wine Corkscrew Manufacturer & supplier ? We have a wide selection at great prices to help you get creative. All the Wine Corkscrew Spiral are quality guaranteed. 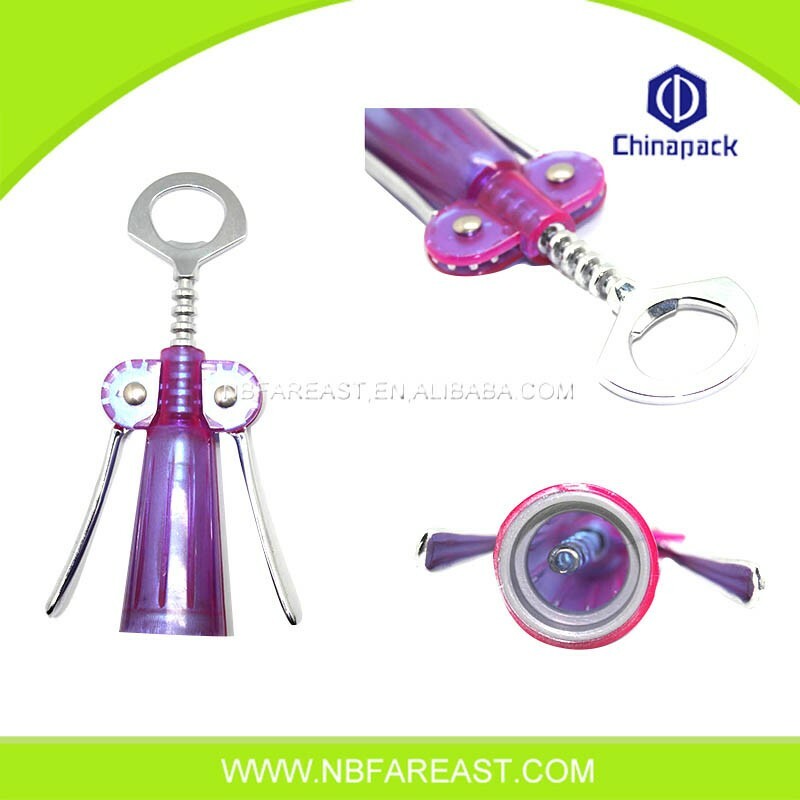 We are China Origin Factory of Corkscrew Spiral Opener. If you have any question, please feel free to contact us.